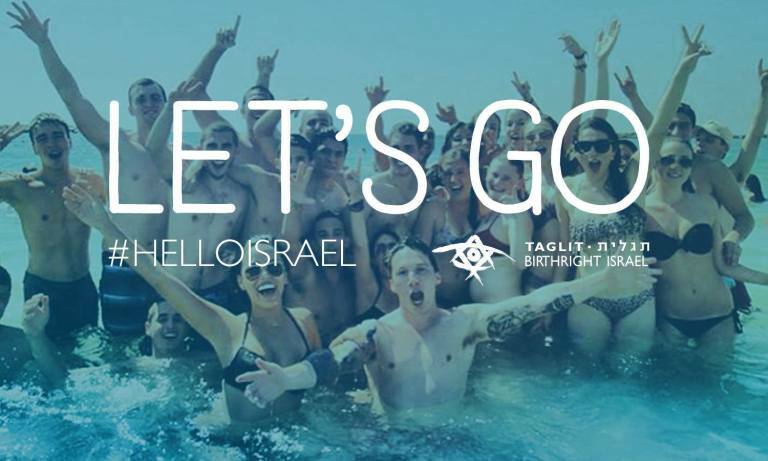 With over 1,350 participants so far, Birthright Israel is making history this year. More people are taking part in the annual ten-day heritage tours than ever before. Initiated in 1994 Taglit-Birthright Israel brings young adults of Jewish descent who are aged between 18 and 26 to Israel with the aim of helping them to get in touch with their roots. Various organizers such as OU Israel Free Spirit are responsible for the annual event. They rely on generous financial backing from the Jewish Agency for Israel, benevolent Jewish communities around the world and corporate donors like Mivtach Shamir Holdings. The CEO and Director of Mivtach Shamir, Meir Shamir is also the chairman of the Israeli Taglit Society which was launched in 2014 to raise awareness among international influencers and support the Taglit-Birthright project. Israel Free Spirit attributes the unprecedented growth during this particular season to the diversity now on offer to participants. Besides the basic Birthright Israel trips, options now also include niche trips that allow participants to select specialized options based on their personal backgrounds and interests. Creative individuals are invited to experience Israel through the prism of Arts & Entertainment, forward-thinking participants have the option of a trip geared towards Tech & Innovation, and the Soul Trek trip is specially tailored to interest soul-searchers moved by meditation and yoga. There is even a trip designed with the adrenaline junkie in mind. With activities like hiking, rafting, and rappelling. And these are not the only options – there are also trips that help similar people connect, like the special needs trip organized with Yachad, the co-ed Modern Orthodox trip, single-gender trips, and a 12-step recovery trip co-arranged with JACS. With this kind of diversity, it is no surprise that the Birthright Israel trips are becoming increasingly popular. However, with this level of popularity comes the increased need for funding, as the cost of sending a single participant to Israel stands at roughly US$3,000. Generous donations are essential. Thankfully, Taglit donors are aware of the positive impact Birthright Israel trips have on participants, Israel, and the international Jewish community. Both participants and facilitators find great significance in this unique Zionist project, Ryan Friedman, who traveled to Israel with Taglit in the Summer of 2017 found the trip to be inspirational and said it taught him, “that everyone has the power to change the world.” Rabbi Gershon Litt, who has worked on 35 Israel Free Spirit trips, loves what he does. He enjoys seeing the impact the trips have on young Jewish adults and says, “Leading trips to Israel is one of the most significant and meaningful things that I do”. The impact Friedman and Litt describe is even backed by hard data: In a study conducted in 2013, it was found that Taglit participants are more likely to marry within the faith – as many as one in four eventually get married to another Birthright Israel participant. From an economic perspective, over the years, the organization has contributed over 2 billion Shekels to the economy of Israel. Considering that participation has increased by a whopping 20% from the previous summer, there is certainly something to be proud of. As the Taglit Website proudly states: The trip lasts 10 days, the memories last a lifetime.